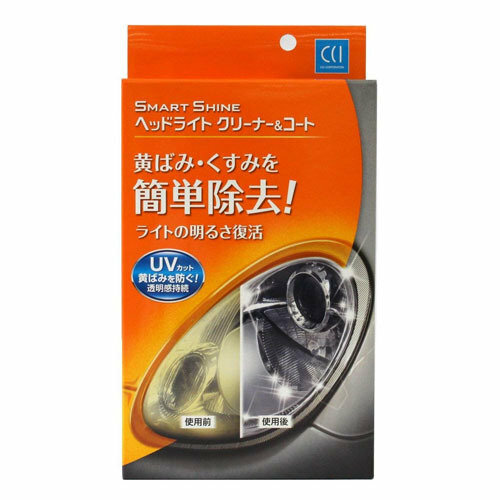 Easily removes the yellowing and dullness of the headlight and restore the brightness of the light. 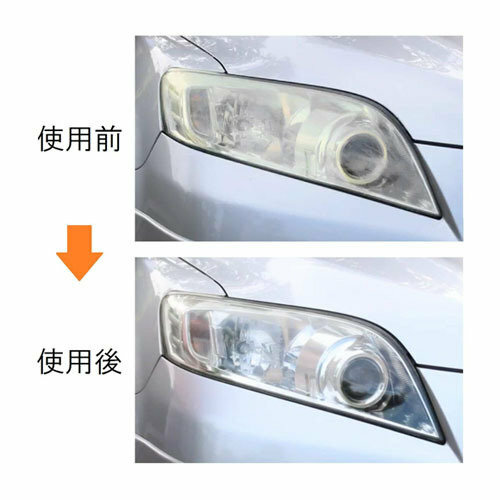 The main cause of yellowing headlights is ultraviolet rays. 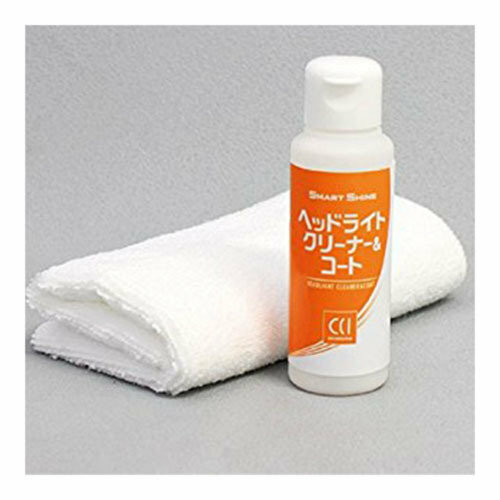 Because special UV-cut polymer is compounded, transparency will be maintained by preventing yellowing due to ultraviolet light even after use. 2. Please shake the bottle well with the cap closed. 3. Please put some liquid on to attached cloth, please polish with putting some power. 4. Please wipe up with a clean surface of the cloth. ※ If yellowing or dullness is difficult to fall down, please repeat the operations 3 and 4.